Trekking in the Annapurna Conservation Area. The almost legendary 240 km long (150 mile) Annapurna Circuit is the longest and the most challenging trekking path. It circles the whole massif and it takes about 25 days to complete it. Other popular treks are Jomsom, Annapurna Sanctuary (taking you to the Annapurna Base Camp) and Royal Treks. 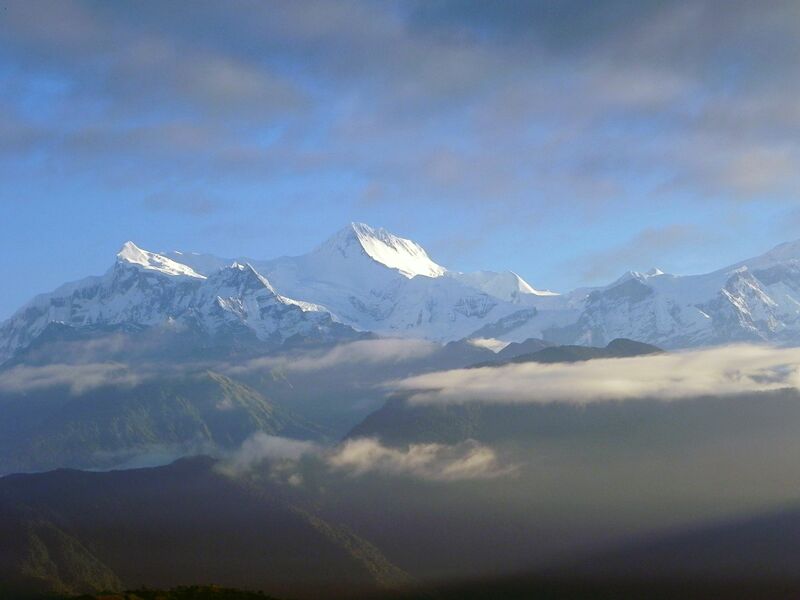 For those having limited time there are also many shorter - one to few days treks in the Annapurna Conservation Area. 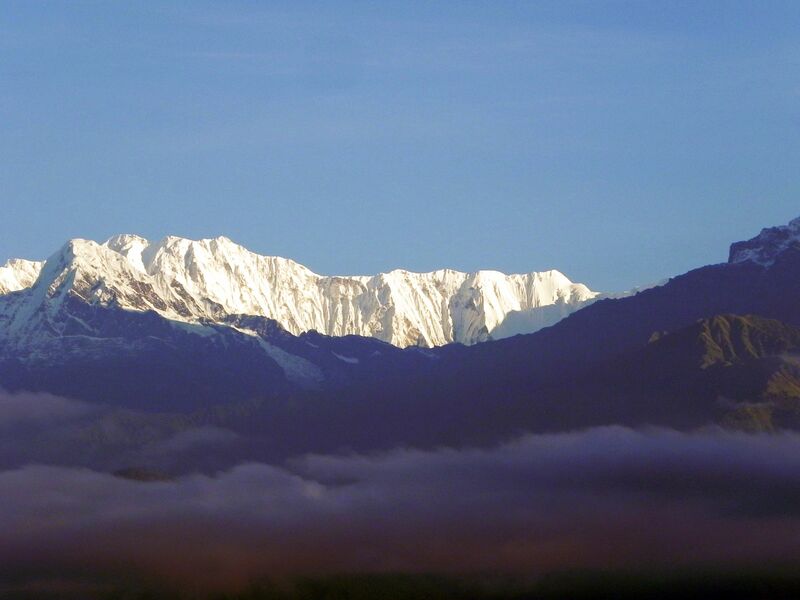 one day long: Kahun Danda Trek, Sarangkot Trek and Rupa and Bengas Lakes Trek. 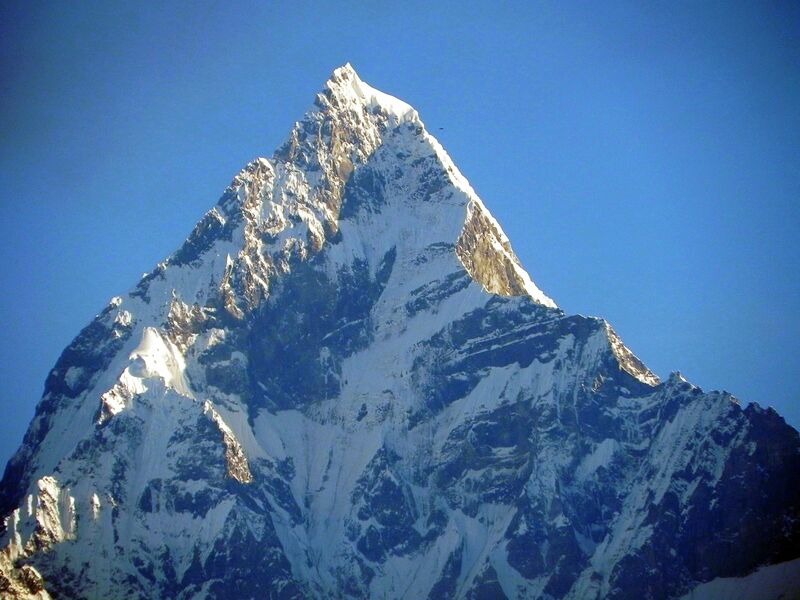 Dominating the Pokhara Valley Machhapuchhre known also as Fishtail is "only" 6997m (22,956 ft) high. 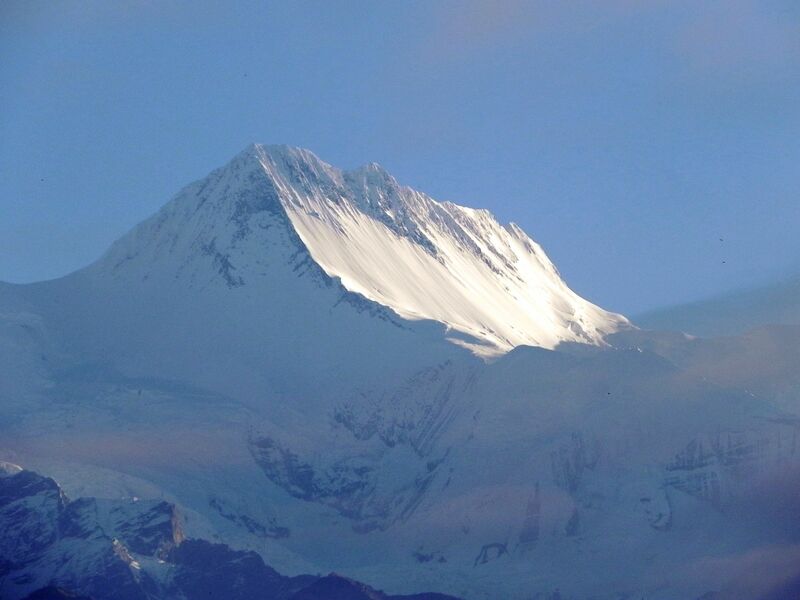 On its right is visible the ridge of Annapurna III 7555m (24,787 ft). View on the Annapurna I ridge "hiding" behind the Hiunchuli 6441m (21,132 ft). Machhapuchhre is considered as a sacred mountain of the god Shiva. As a result the mountain is off limits for climbing. The first and only attempt to climb Machhapuchhre was undertaken in 1957 by the British team when Wilfrid Noyce and A. Cox climbed within 50m of the summit, but out of respect for the beliefs of the local population, they did not complete the ascent to the summit. 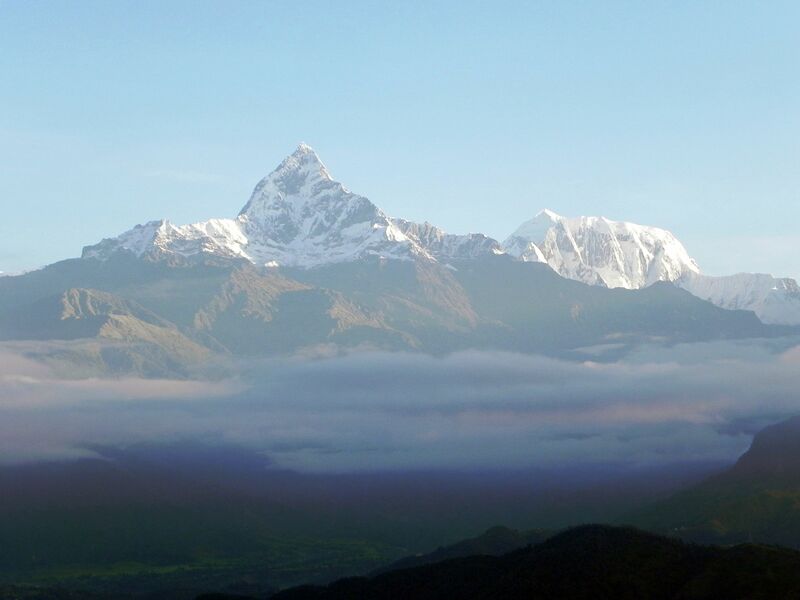 Machhapuchhtre 6997m (22,956 ft) called also Fishtail is the most imposing peak seen from Pokhara. 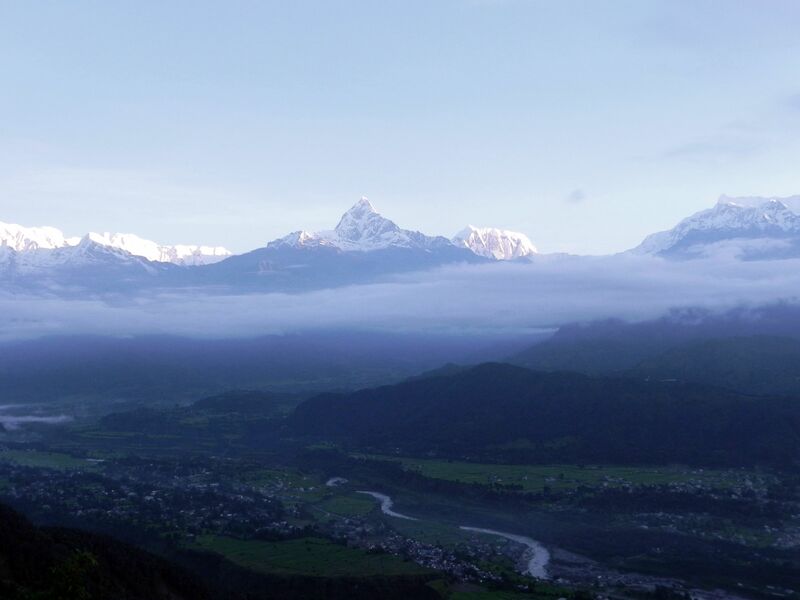 The steep Machhapuchhre’s peak imposing its “authority” over the Pokhara Valley resembles the tail of the fish. And that is the meaning of its Nepalese name – “Fish’s Tail”. The mountain is also nicknamed “Matterhorn of Nepal” for its striking resemblance to the famous Alpine peak on the border between Switzerland and Italy. 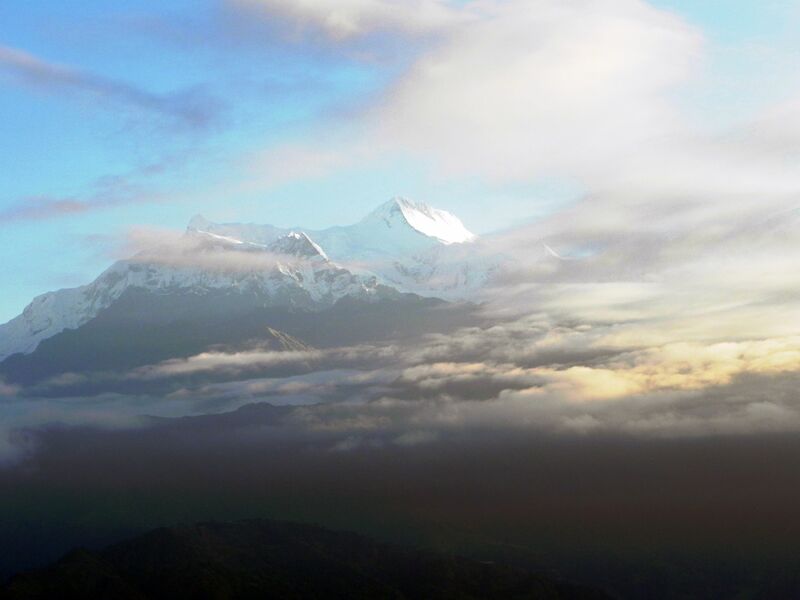 Spectacular view on three Annapurnas: from the left - Annapurna III 7555m (24,787 ft), then Annapurna IV 7525m (24,688 ft) with next to it Annapurna II 7937m (26,040 ft). Finally on the right the last massive ridge is the one of Lamjung Himal 6983m (22,910 ft). 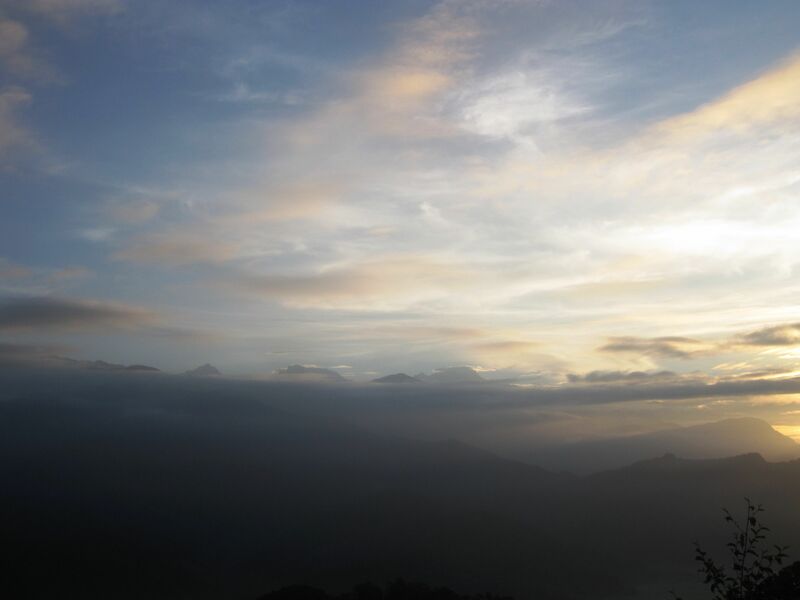 Late morning clouds are adding beauty to anyhow fabulous panorama of the mountains. The left photo has it all - in this case all Annapurnas from I through IV. I guess now you can easily identify each one. 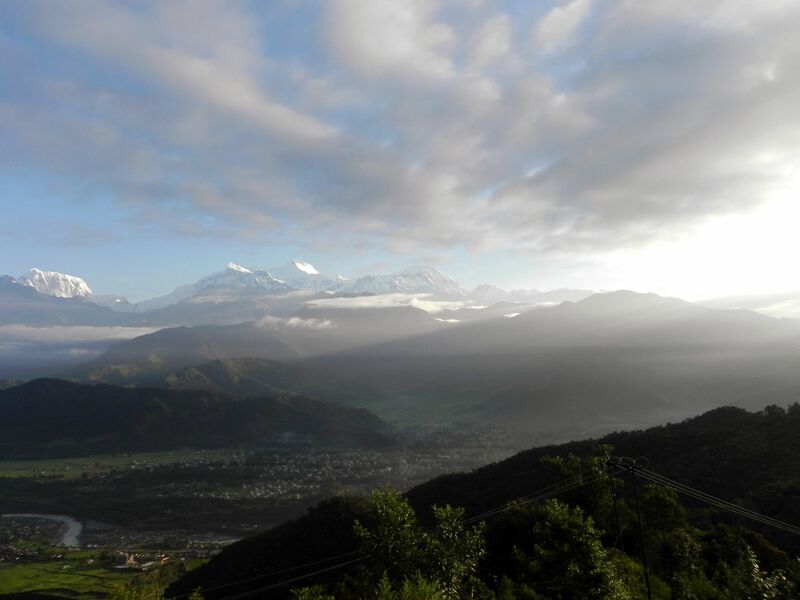 Most Annapurna’s treks starts in a town of Pokhara. Today, with more than 200 thousands inhabitants it is a 3rd largest city in Nepal, but certainly the 2nd tourist hub after Kathmandu. 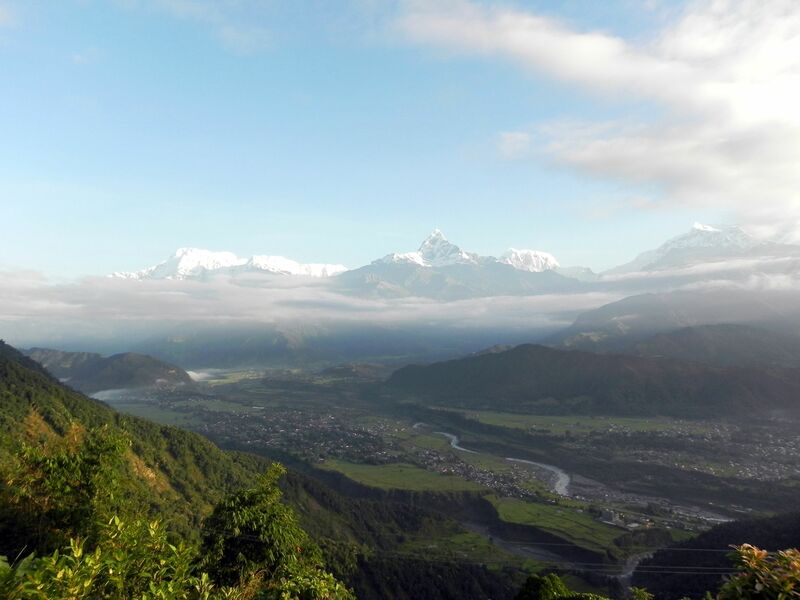 A large amount of visitors come to Pokhara for trekking, however not all of them are fit to accomplish this physically challenging adventure, especially the Annapurna Circuit. Keep in mind that you have to not only climb and descend steep slopes, but that on long stretches along the trek you are “above the clouds”. In other words you will be in the areas of lower atmospheric pressure and oxygen content as well as much more intense UV radiation. The highest pass along the Annapurna Circuit – Thorong La, lies at a disheartening 5400 m (17,770 ft). You should be one of these “hard-to-die” trekkers not just to make it, but first of all to do it in a good shape and mood allowing you to fully enjoy fabulous vistas, splendid scenery. And all that with open senses and “fresh mind” ready to feel surrounding nature as you can partially see on this page. Only then you will make the best out of this trekking adventure. On the positive side, due to so high popularity of trekking, you will easily find along trekking paths guesthouses and food…. Good news is that in last few years a very clever invention called “Solar Cooker” was deployed along the trekking paths. It looks like a parabolic antenna reflecting and then concentrating the sunlight energy in the small cooking area. Some of them called Solar Tea Kettles are specifically designed to boil the water. They can achieve the temperatures up to 220 degC (425 F) solving the problem of drinking water. One more technical note – usually we feel safe drinking boiled water assuming that the effect of boiling guarantees killing whatever is alive in the water (bacteria, microbes…etc). We often forget however that the boiling temperature depends on the atmospheric pressure decreasing at lower pressures and so at higher altitudes, while the process of “neutralization” of microorganisms depends purely on the temperature (higher is better). 83 degC (181 F) at the altitude of 5 km (16,404 ft). The bottom line is – it may be not enough to do the expected job! I hope I did not scare anybody from the Nepal Adventure. 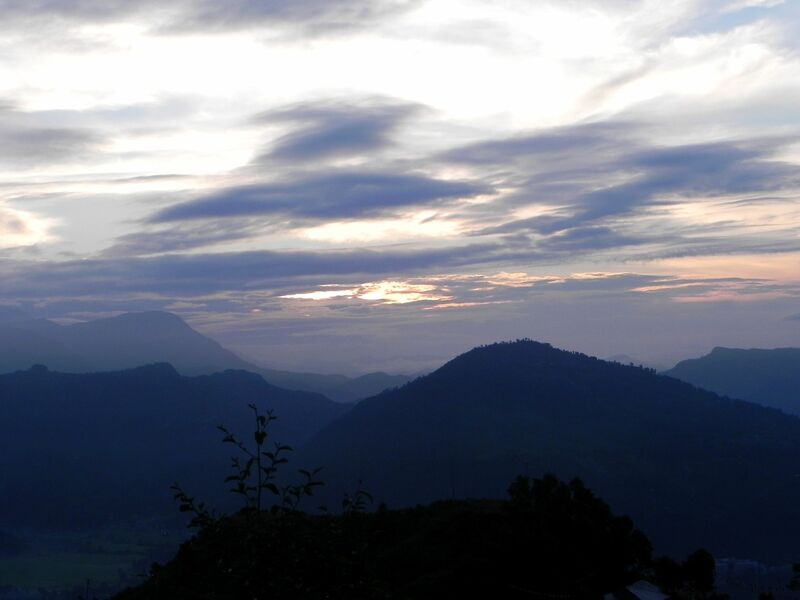 By the way - Pokhara is not only about trekking, the city itself and the whole Pokhara Valley have much more to offer (see the next page….). 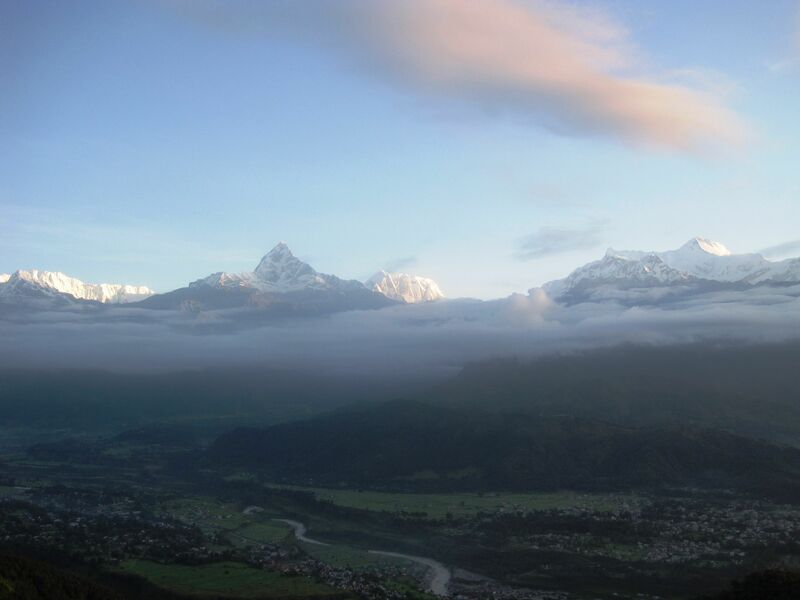 But before starting browsing the next page, please have one more look at some Annapurna pictures seen from Pokhara.